If you’re reading this, chances are you’re looking for a one-size-fits-all rewards credit card. One single card that can check the boxes of having a sign-up bonus, huge earning potential, reasonable annual fee, accepted pretty much everywhere and can help you earn points at the speed of light so you can start booking free travel ASAP. Also, bonus points if it’s made of metal, right? Instead of having a collection of cards to keep track of and make payments on, it would be nice to keep tabs on just one powerhouse card that does it all. And, while I’d never tell you that one card is the right choice for everyone (that’s simply not true), there is a rewards card that fits the bill for most people – and that’s the Chase Sapphire Preferred. Great sign-up bonus: 60,000 bonus points, check! In order to be rated #1, there has to be more. After all, more is more (or something like that). Here are five additional reasons why this card snagged our #1 spot for rewards credit cards this month. If you’re looking to carry just one rewards card with you at all times, it has to have the ability to earn points quickly and easily. Whether it’s everyday spending or purchasing a big-ticket item, the Sapphire Preferred is a fantastic card for the job. You’ll earn 2 points for every dollar you spent at restaurants worldwide and travel-related purchases, which Chase has defined in very broad terms. For dining, it’s fairly self-explanatory for what is and isn’t considered part of the category. It could be anything from Starbucks, to fancy restaurants, to fast-food joints, to food trucks, and more. Basically, if you're purchasing something to eat or drink, it's likely covered. Airlines, hotels, motels, timeshares, car rental agencies, cruise lines, travel agencies, discount travel sites, campgrounds and operators of passenger trains, buses, taxis, limousines, ferries, toll bridges and highways, and parking lots and garages. I know what you’re thinking – does that include Uber and Lyft? – and the answer is yes, yes it does, my friend. The points you earn with your Sapphire Preferred are Chase Ultimate Rewards points, which are among the most flexible and valuable rewards out there. Book directly – booking travel directly is good for things like flights since it counts toward earning elite status (which includes free upgrades and seat selection, among other great benefits). These points can be redeemed for a flat rate of 1.25 cents each. Transfer to a partner – getting 1.25 cents per point by booking directly is a great deal, but to stretch your points even further, you’ll want to transfer them to a Chase partner. Doing so will give you more flexibility and can even help stretch the value of each point up to 2.1 cents, which is huge! Word to the wise: Once you transfer Ultimate Rewards points to one of these programs, you can’t move them back, so be sure to know what you'd like to use them for before transferring them. Being able to talk with a real human being without having to navigate through a million phone menus is a huge benefit. It might seem like a secondary perk now, but when the time comes to call the number on the back of your card, you’ll be glad you’ve got a direct line to a Chase representative who is nice and ready to assist you. Not only have they patiently answered every question I’ve asked, they have also been happy to take the time to clear up any issues I’ve called to address on my account. Things like miscategorized charges, questions about rewards categories, charges I’m not sure I made, and more. No one wants to pay extra fees for purchases they make abroad, so don’t! 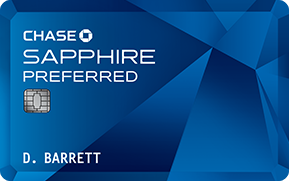 The Chase Sapphire Preferred has zero foreign transaction fees, so you’ll be able to use your card with ease while traveling anywhere around the globe. This may sound like a no-brainer for a travel rewards credit card, but you’d be surprised by how many people still pay fees they don’t need to when going on a trip! It also comes with Chip and Signature technology, which is widely accepted overseas and provides better security for the cardholder. You’ll also be covered if and when you rent a car or SUV at your destination with Chase’s primary coverage. Primary coverage means you won’t need to notify your personal car insurance company in the event of an accident. It stinks to think something like this would happen, but if it does, it's nice to know that you won’t need to pay a deductible or risk having your rates raised. I love this benefit because most other cards on the market offer secondary coverage – which means they’ll only cover what your personal car insurance won’t – but not for Sapphire Preferred cardholders. Chase has got your back. If something goes wrong and you aren’t able to travel (maybe you’re feeling under the weather or there was some severe weather in your area), Chase will reimburse you for pre-paid, non-refundable travel-related expenses up to $10,000 per trip (extends to you, immediate family members, and travel companions). Travel delays and cancellations are already annoying enough and I would never wish them on anybody, but what a relief(!) it would be to have this type of insurance in place just in case something were to happen. If your checked baggage is delayed for six hours or more, you can get reimbursed for $100 per day for up to five days to cover the “essentials.” Things like toiletries, clothing, shoes, etc. 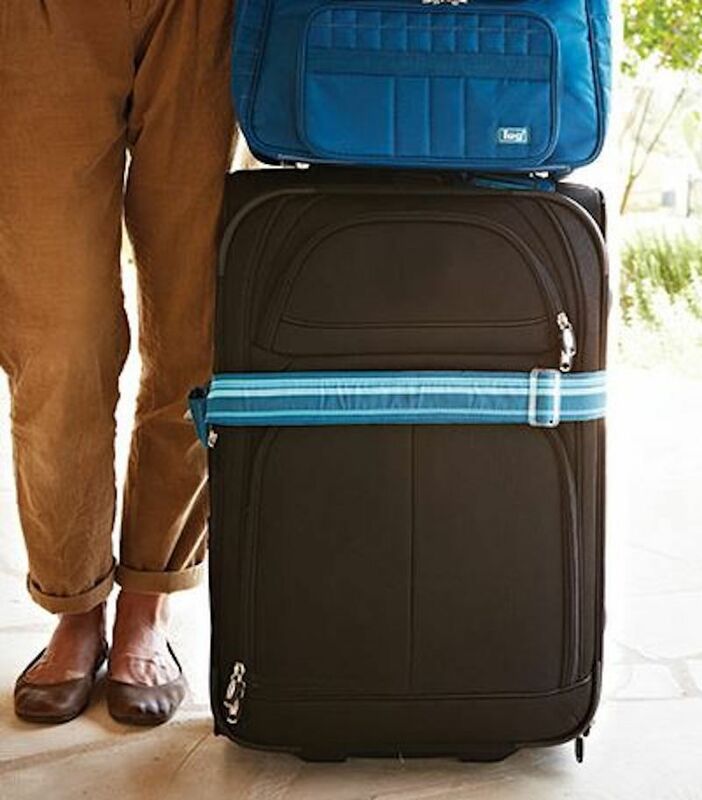 Taking it a step further, if your baggage is never found, you could be eligible to receive up to $3,000 from Chase, but you'll have to provide a thorough list of the bag's contents and their original receipts (baggage included). As with most credit cards, it’s easy to overlook the fine print that highlights a little about each card when you first sign up, but I’m so glad I checked them out! How's that for an all-in-one card? The Chase Sapphire Preferred is an incredible rewards card that just keeps on giving. If you’re looking for a rewards credit card, this is a solid choice with a plethora of benefits not to be missed. Click here to learn more about the Chase Sapphire Preferred and see what bonuses you qualify for! Disclaimer: This content and the opinions expressed here are the author’s alone and have not been provided, commissioned, or endorsed by the credit card issuer. All information was accurate at the time of this post but card terms and conditions may change at any time.